Fixed table with aluminium legs. Top in clear or fumè extra light tempered glass (12mm). 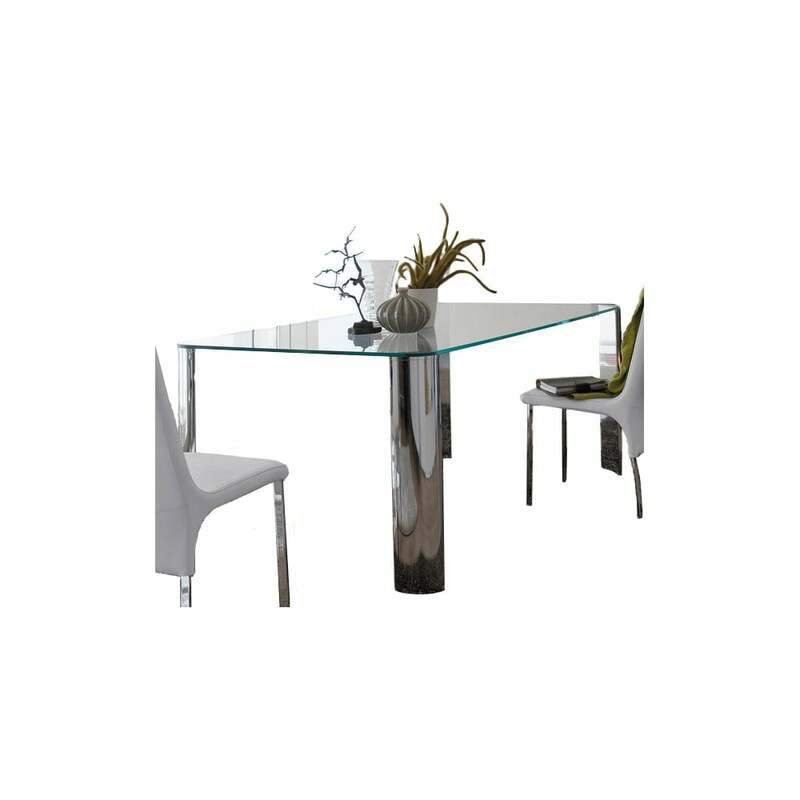 The main design feature of Scott table is the harmony coming from the great visual impact, thanks to the particular arrangement of the four aluminium legs, where the clean and essential shape glass top seems to float. Lightness and solidity: two concepts apparently contrasting but perfectly joining together in its line.